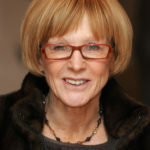 Anne Robinson is an English television presenter and journalist, known for her acerbic style of presenting. She was one of the presenters on the long-running British series Watchdog from 1993 to 2001 and 2009 to 2015. She gained her highest profile as the hostess of the BBC game show The Weakest Link from 2000 to 2012, which earned her the nickname “Queen of Mean”. Robinson reprised her role of presenter of Weakest Link for a celebrity edition for Children in Need in November 2017 and will return again in 2018 when the show returns properly. "The results of this survey are shocking and should be a wake-up call to men and women that drinking and smoking too much not only gives you a bad headache in the morning but can affect your ability to start a family."